Online Entries, Competitor Lists, Notice of Race, Location information and more! 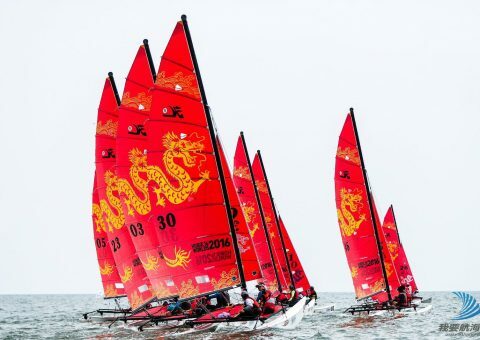 Jinzhou, the 2nd leg of the Hobie® China Regatta. 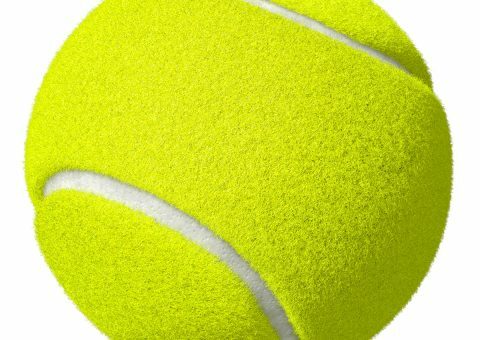 Focus on the stripes of the tennis ball. 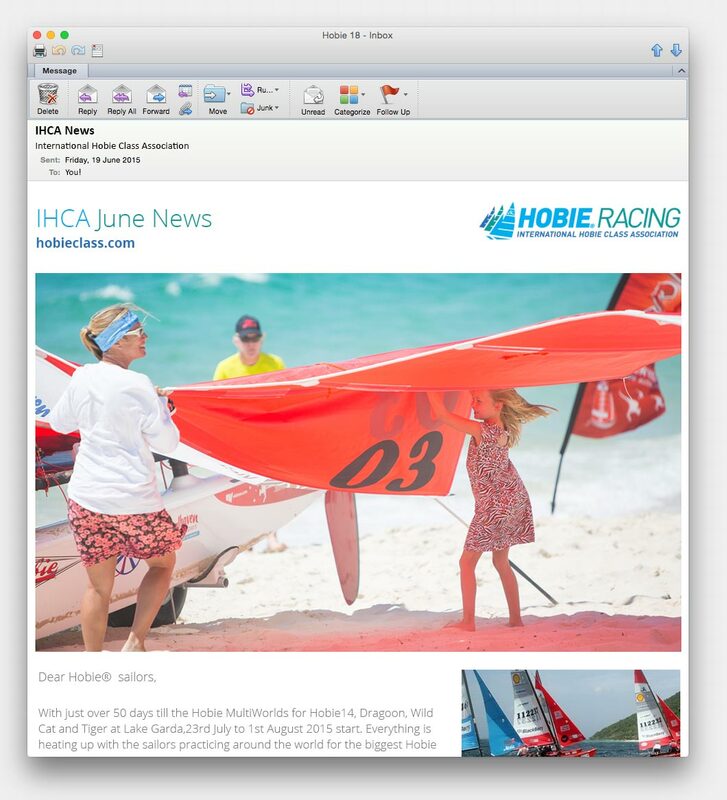 Sign up for our mailing list to receive the monthly IHCA Newsletter and stay up to date with everything happening on the global Hobie Racing scene. It’s 2:00 AM and a team of sailors and employees from Hobie Cat Co. are inside the Ft. Myers airport with a Hobie 16. 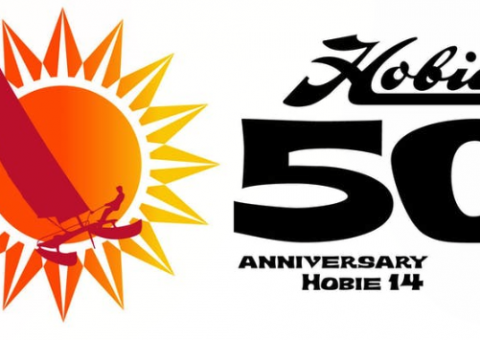 As part of our event promotion, all visitors to Ft. Myers will see a Hobie 16 with event sails and sponsor logos. The boat has been in the airport for about a week now and people are taking interest. It has become quite the photo spot. Our sponsorship team is continuing to pursue opportunities and we continue to have new sponsors coming on board. 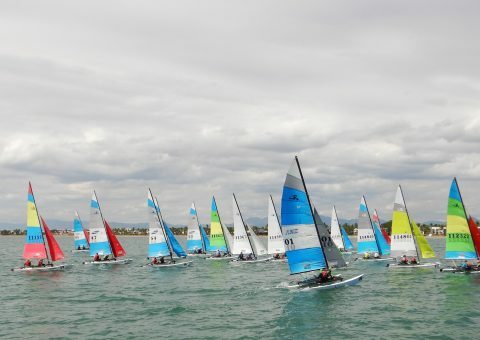 With less than 7 months to the start of the 22nd Hobie 16 World Championships at Captiva Island, Florida we have started to attract some famous names from the past and stars of the future. This month we look at the Great Grand Masters, as we have Steve Leo USA and John Dinsdale FRA. 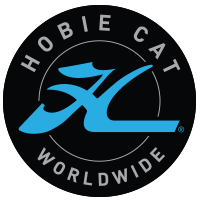 Steve and John competed in the very first Hobie 16 World Championships in 1976 at Honolulu, Hawaii. 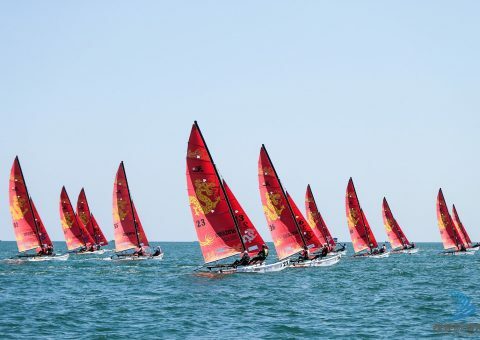 43 years later to the day, 6th November 1976 was the last day of the 1st Hobie World Championships, 6th November 2019 will be the 1st day of the Great Grand Masters. 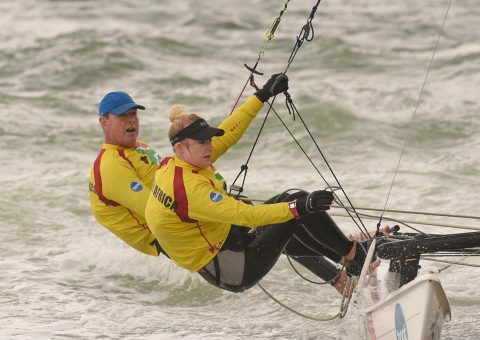 These two will be back out on the water continuing their own Hobie 16 races for bragging rights which they started 43 years ago. What a great tribute to the Hobie Class to have sailors still competing in the same class for over 43 years.